My buddy Danny is in town for the weekend. He's an Italian from New York so of course he wants to cook. And we still like him even if he is a Jets fan. 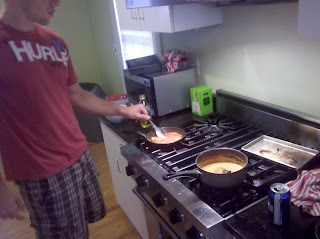 We got hungry and the 9am Blood Mary's and 11am Keystones weren't enough on their own to kill our hangovers - Owen is still hungover - so we decided to make some pasta because that was all we had in the house. I made a tomato cream sauce with some swiss that was leftover from the crepes and some ricotta salata, it's an amazing cheese that I was just introduced to this summer: check it out. 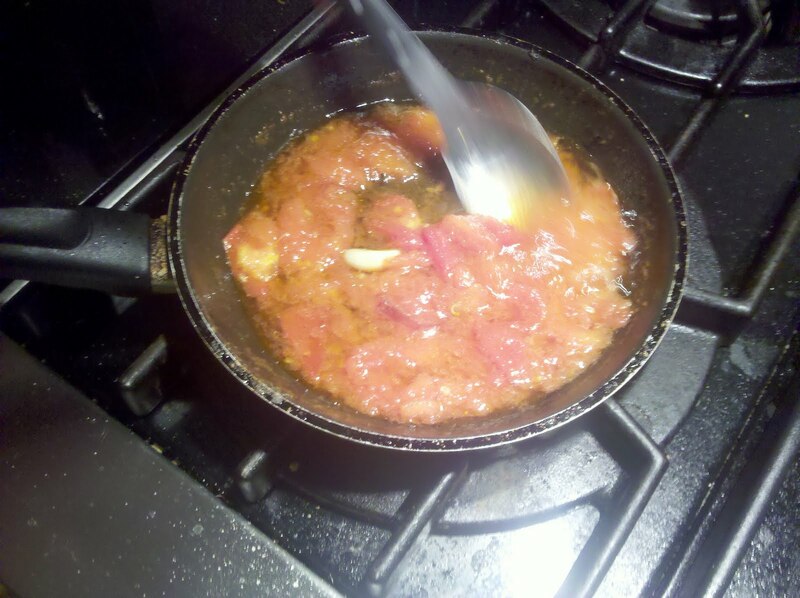 While I was doing that, Danny stewed some tomatoes with garlic. We added the tomatoes and garlic to the cream sauce along with some sauteed onions. 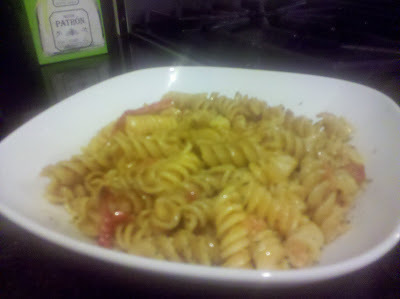 Drenched the pasta in the sauce, and threw it under the broiler for a few minutes. It's pretty similar to stuff we've done before but it was good.